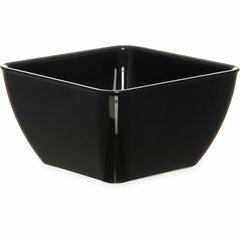 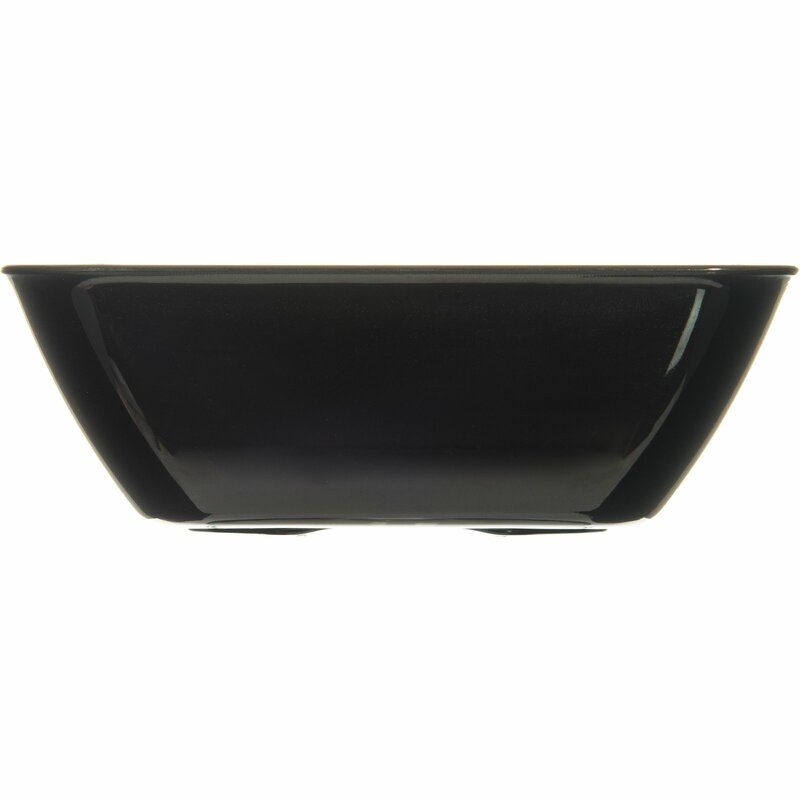 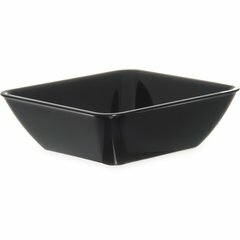 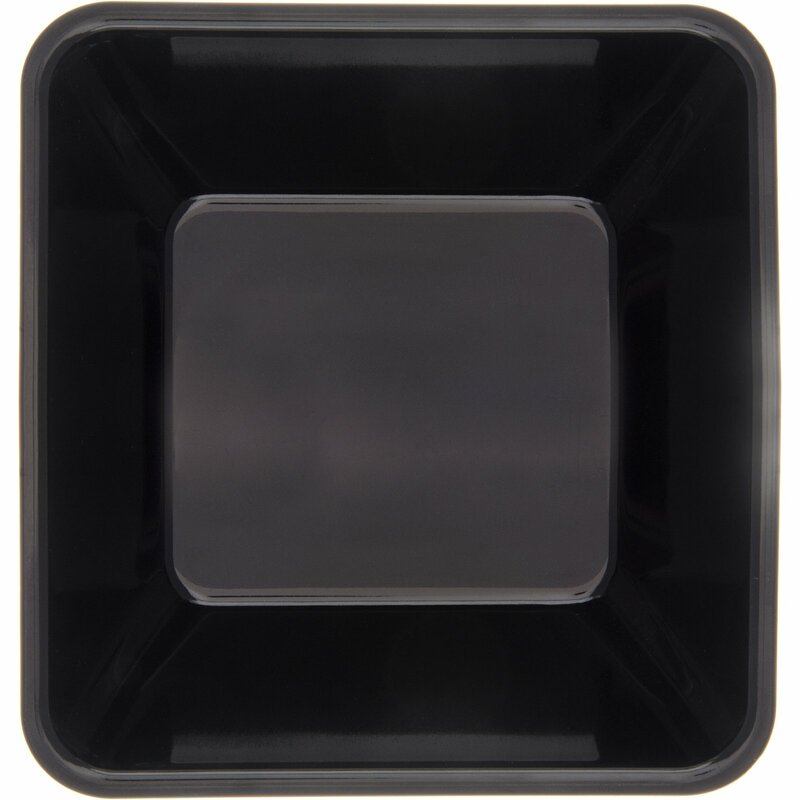 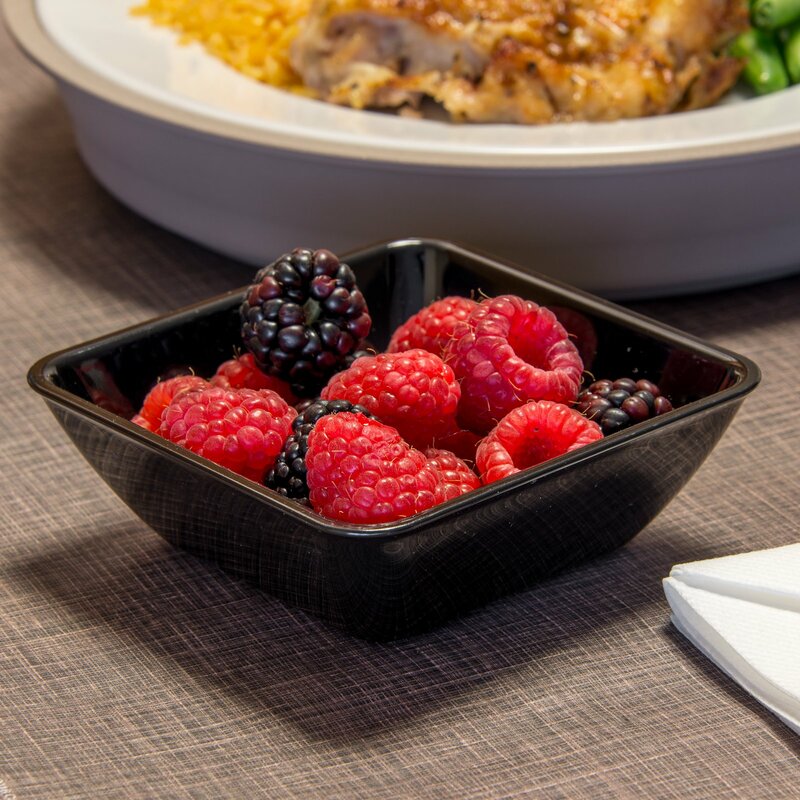 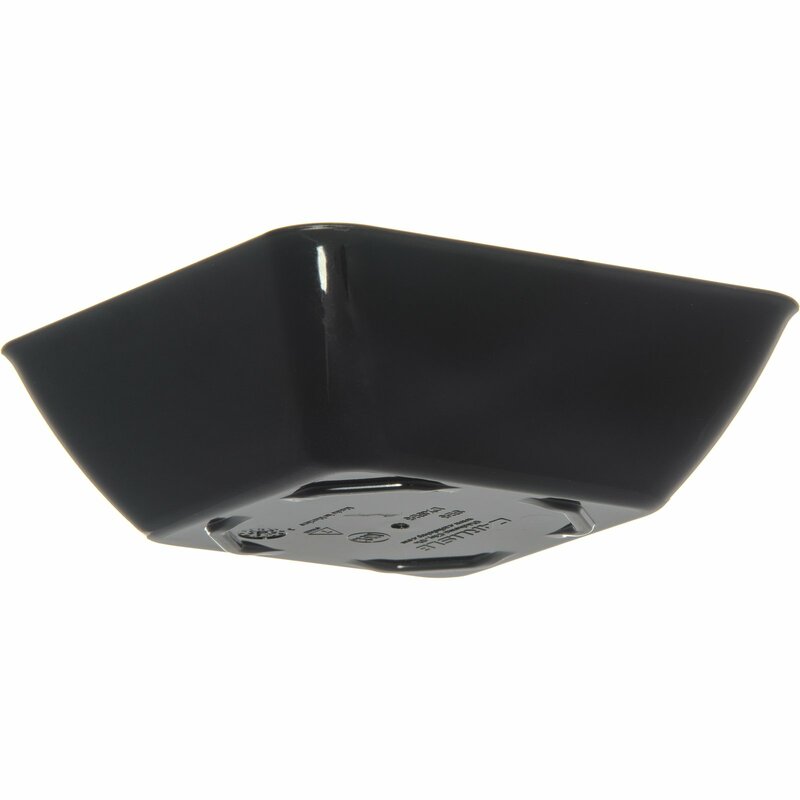 The square flared bowls by Dinex have the look of china with the durability and cost savings of plastic. 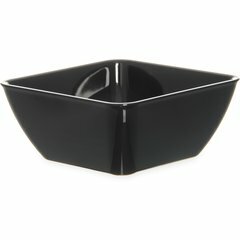 One lid fits all three sizes of bowls and the lid has been designed to be used as a 5 oz. 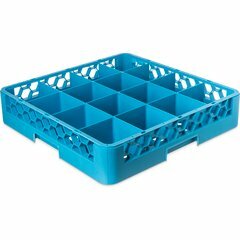 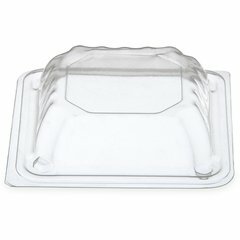 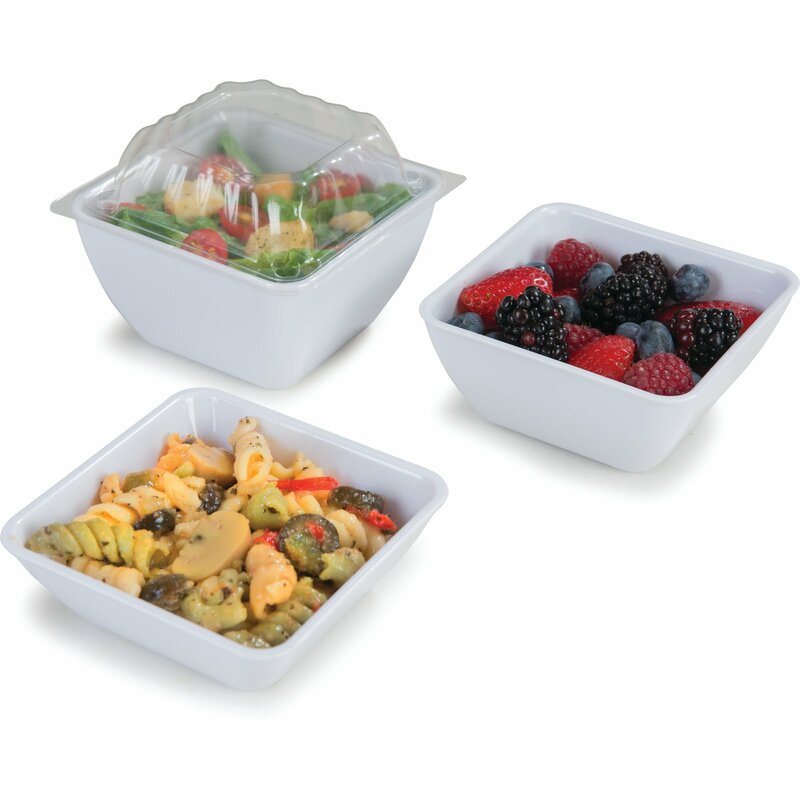 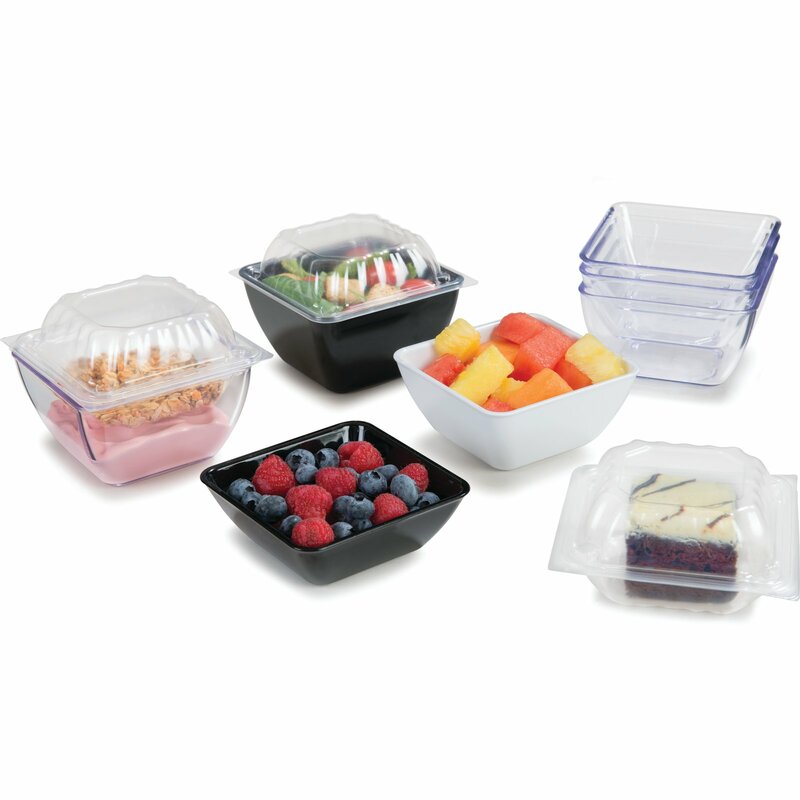 disposable dish for side items, desserts and condiments and other cold applications. 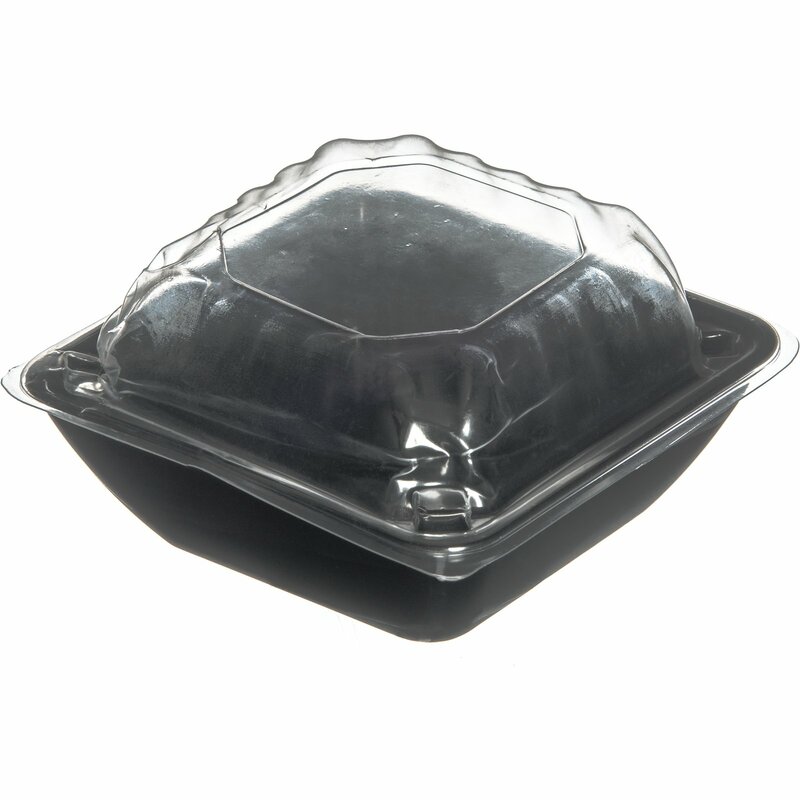 Snap two lids together to create a disposable dish and lid.